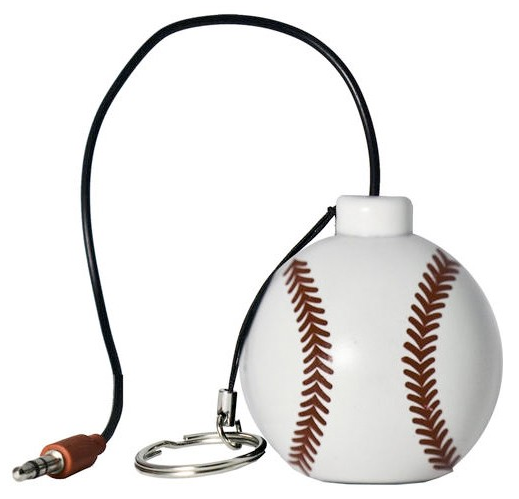 Soundlogic Keychain Rechargeable Speaker Only $9.99 Down From $29.99! Ships FREE! You are here: Home / Great Deals / Soundlogic Keychain Rechargeable Speaker Only $9.99 Down From $29.99! Ships FREE! GearXS has this Soundlogic Keychain Rechargeable Speaker on sale for $9.99 (Reg. $29.99) + FREE shipping! You’ll have a ball with any of these compact speakers. A fabulous gift idea for the sports fan in your life, this speaker can be connected to any music player device with via 3.5mm audio jack. Capable of pumping out 2 watts, it comes with a built-in rechargeable battery, and with a quick connection, you’ve got your music playing audibly for everyone in your vicinity. One charge will give you up to 4 hours of music playback. And how’s this for a handy little bonus–it even comes with a keychain attachment!